Reception: Friday, January 25, 2019, 6 – 8 p.m. Pastel color palettes, uncommon vantage points, and attention to detail are the common threads between the paintings of Autumn Rose and Barbara Kemp Cowlin. 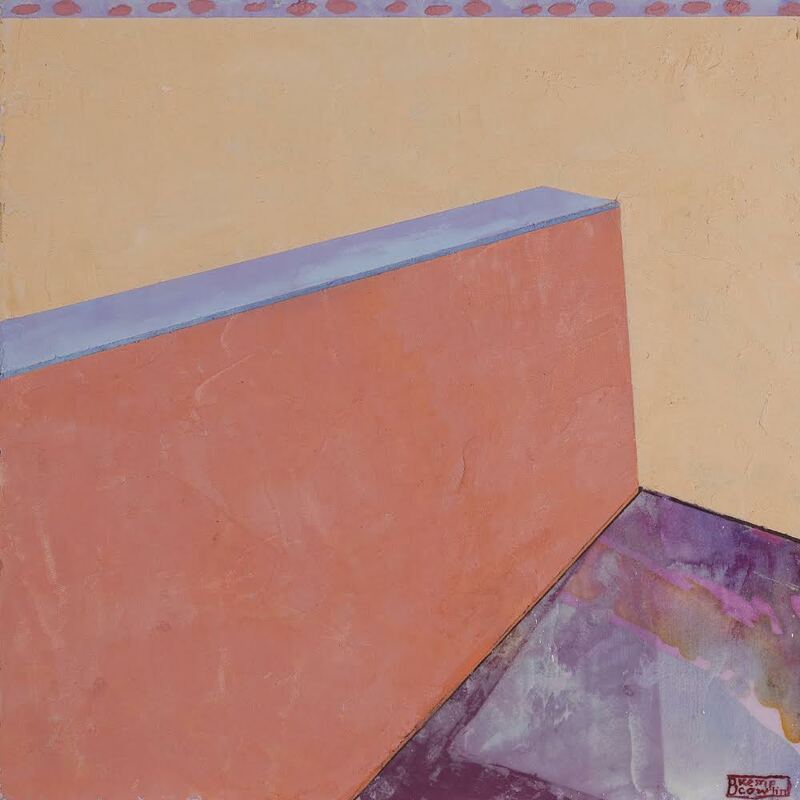 Autumn Rose’s varied line weights and flat perspectives transform her paintings of desert botanical still lives into airy abstractions, creating a peaceful plenitude in her otherworldly canvasses. Barbara Kemp Cowlin finds underappreciated details in the corners of domestic and public architecture, creating spartan, angular compositions that feel simultaneously new and familiar. Together, both artists’ distinctive points of view remind viewers that whether we are looking at abundance or scarcity, there is more to be seen if we only look harder.